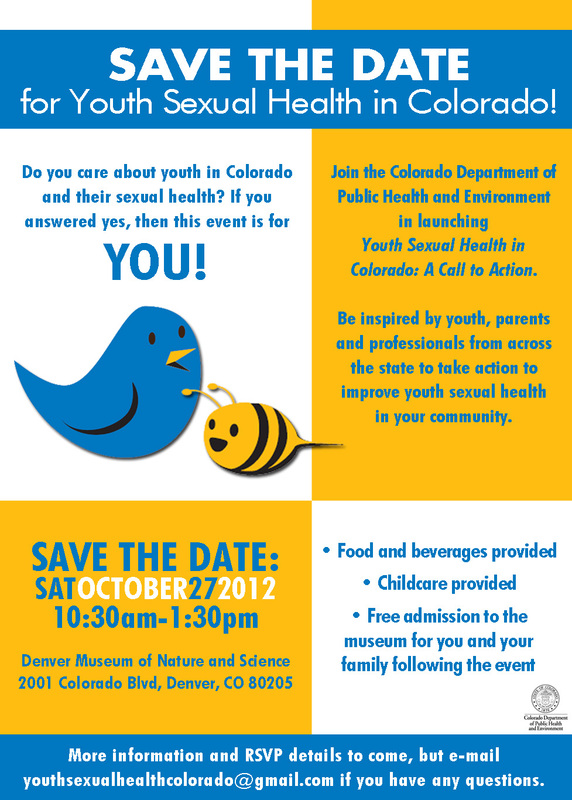 COPrevent: Save the Date for Youth Sexual Health in Colorado! Save the Date for Youth Sexual Health in Colorado! Do you care about youth in Colorado and their sexual health? If you answered yes, then this event is for you! The Colorado Department of Public Health and Environment is pleased to invite you to the launch of Youth Sexual Health in Colorado: A Call to Action. Join us for inspiring speakers, strategic brainstorming, networking, and an overall fun event full of action! More information and RSVP details to come, but if you have any questions in the meantime, email youthsexualhealthcolorado@gmail.com.